Get out of vacation mode and fall into some new professional relationships. 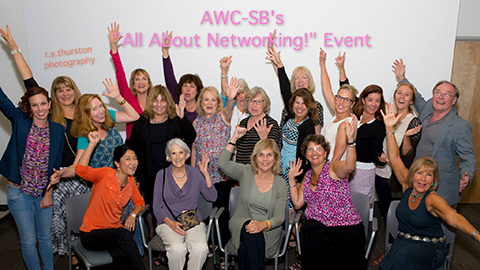 Join AWC-SB members and friends at “All About Networking” on Wednesday, September 2, 5:30-7:30 pm at Antioch University’s beautiful campus in downtown Santa Barbara. Come see why AWC nationwide has developed a reputation for “Networking with a Soul.” We’ll start with some direction on developing your “elevator pitch” before you get down and dirty with some serious networking. AWC-SB members can then use their elevator pitch when filling out their profiles for our Member Directory. Get a jump on the process by filling out the Member Profile Form. This entry was posted in Past Events on August 26, 2015 by Lisa.